We are a family that loves to eat. Usually, taking a day off from it all means leaving the house, and we will certainly get hungry throughout the day. On a good day, we are well-prepared and have loosely planned our agenda. When I say planned, I'm not talking about a schedule. More so, I mean a departure time, a direction (go west, my friend...), dirty dishes are washed (because nobody likes to come home to those), and food is prepared and packed for the day. Sure, it's easy to grab the back pack, a water bottle, car keys and go. We could easily stop while we're out and enjoy a sit down meal at a restaurant, or what have you. And sometimes, having someone else do the 'cooking' is exactly what this mama needs, but usually our food comes with us. 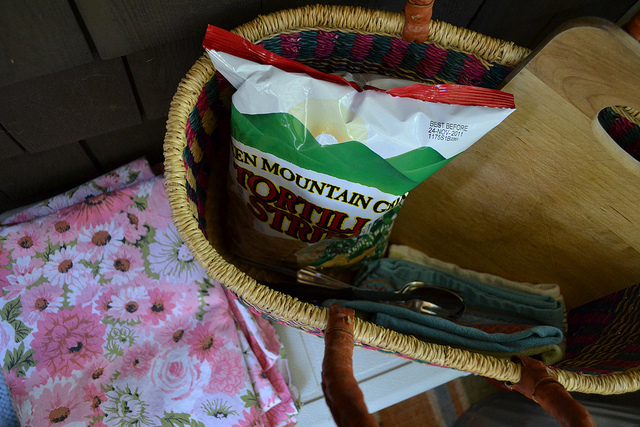 If our day is to include a hike, we'll retrieve a few things from the cooler for the trail - but generally save our bigger meal for after the hike. Why Do We Pack Our Own Food? Now that it's become routine for our family to get out one day a week, I factor this into my grocery budget and meal planning. I do budget a little money for our outing day (a little ice cream, a good beer at micro-brew, latte, that sort of thing), but seeing as we are often away from home for two mealtimes, we could spend quite a bit on eating out each Sunday. Restaurant food is not home cooking. Thankfully, my family agrees and we are all happier not to play a game of chance once a week with our tummies. We need to have good quality, nourishing food to fuel our activity levels for the day. Sometimes restaurant food leaves us feeling a little worse for the wear (I should add that our area is not known for decent dining out options). Have you ever stopped off at a to-go type sandwich shop and noticed that once lunch is finished, your car or picnic table is covered in empty kombucha bottles, potato chip bags, paper napkins and more...? It's so hard to avoid! When you pack your own food, it's easier to control packaging and can use no waste items. It encourages us to slow down. 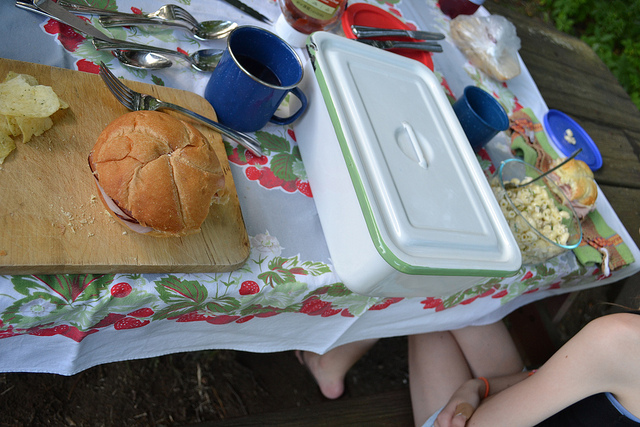 Preparing food and sharing a meal outdoors is a very grounding experience. 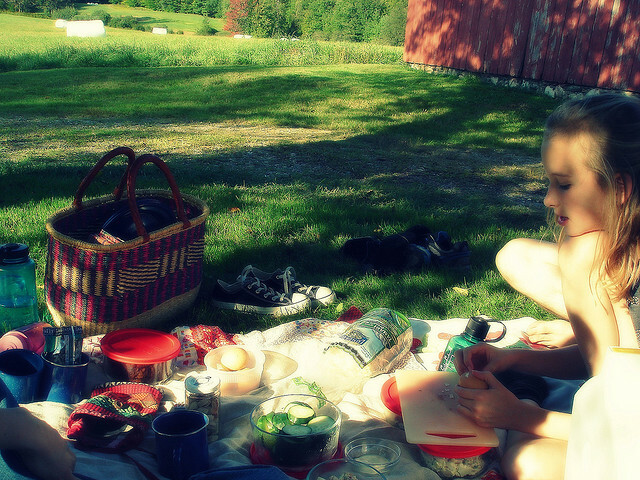 Time seems to stand still, flavors become more vibrant and everyone seems find contentment in the simple, timeless activity of a picnic. What is Our Essential "Food Away From Home" Gear? You knew there had to be gear involved, right? 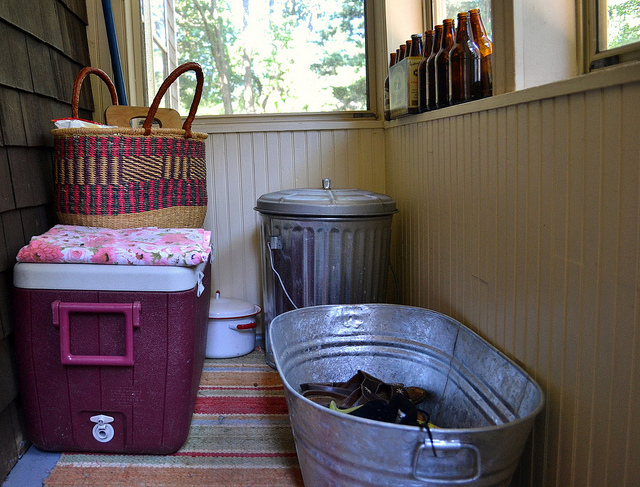 Earlier this spring, my thrifting self was a mission to score a very specific size cooler. We seem to have plenty of lunch-box size coolers, plus an assortment of huge coolers with wheels and such. I just wanted a simple, straight up medium size cooler with two handles on the side. Weeks and then a couple months went by and I wasn't finding the right one. Then, one Sunday on a dirt road in Eastern Connecticut, where we had just come off the most bug filled trail of our lives, there she was - with a big FREE sign on top! A little dusty from storage, but nothing that a good bath couldn't fix. The size and condition were perfect. To the list we add the day's food, plenty of water bottles, lots of ice packs, and whatever each of us is currently reading. Because what is better than reading a few pages after a good meal, in the quiet of summer afternoon? What is your take on this? Are you a pack it up kind of family too? Please share your own tips and essentials! I try to make our "out of the house" food interesting and not everyday feeling. This helps to feel like we are lucky to have our own food and not deprived because we've brown bagged it, I find this to be so important (and yes, a bit of a mind game). I'll usually bake something special, include a favorite cheese, or dark chocolate bar. Perhaps there will be some homemade soda, or fancy popcorn. Don't get me wrong, I certainly don't slave over the day's selection. Sometimes a simple indulgence like a few fresh figs feels extravagent.